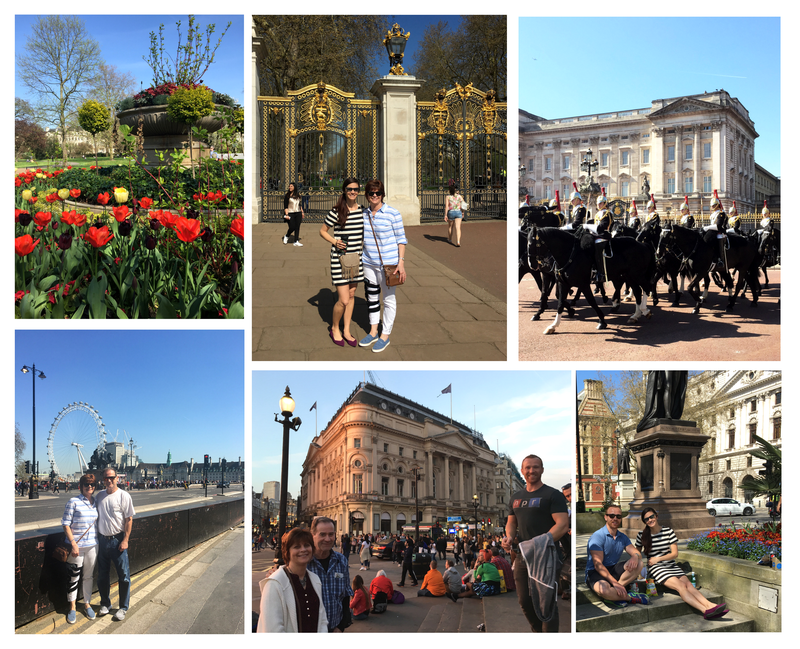 We’ve recently returned from an incredible 2.5-week trip to England and Italy. This adventure was a long time in the making with quite a few moving parts, and certainly wasn’t our least-stressful trip to plan, but seeing it all come together was fantastic. Why was this a little bit different than our usual travels? It involved 4 of us, and it was my mom’s first time in Europe (plus, my dad’s first since he was 12)! 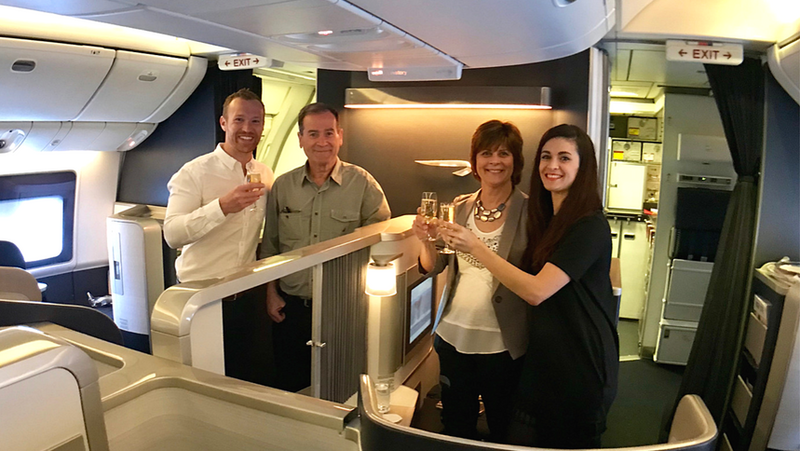 Quite a while ago, Alex and I decided that we wanted to use our newly acquired skills in points and miles earning and redemptions to take my parents on a trip – first class flights included – to thank them for all they’ve done for us over the past 7 years. There aren’t many parents who wholeheartedly support their daughter falling in love with an Englishman (while still in grad school), then encourage her to go galavanting across the pond to see where this wild and crazy beginning would take them. There aren’t a lot of parents who would warmly open their arms to said Englishman who’s swept their daughter off her feet, inviting him into their home just days after he received his first U.S. business visa. There aren’t too many parents who would stand by supporting their daughter while she begins a new life hundreds of miles from home (in Texas, of all places), then proceeds to get engaged and married to said Englishman while there. Dallas isn’t exactly a destination wedding hotspot! And there aren’t loads of parents who energetically support their new son-in-law’s budding business in the online realm of credit card points, airline miles, and AV geekery. For all the ways in which they’ve supported us over the years, we are ridiculously lucky. And that’s exactly why we wanted to treat them to a once-in-a-lifetime trip. The real planning for this trip began long before we picked our travel itinerary. It started with my parents going all in on our advice about which credit card to use to earn points. Alex sat down with my parents to learn a bit about their everyday spending habits (to capitalize on their patterns to earn the most points possible) and where eventually they might want to travel. They settled on somewhere in Europe, and with the other information they provided, we were able to narrow their card down to the British Airways Visa Signature® Card. Alex and I have both had this card in the past. We knew with some clever spending tactics, they could earn a Travel Together ticket, as well as enough points to secure some pretty great seats for a hop across the pond. As some of our very first students, they learned quickly, and we all celebrated our victory when they finally earned their reward ticket! Then, the real fun began. Gotta love seeing this in your inbox! We needed to narrow down where my parents might want to travel. In the end, they deferred to us, as we have traveled quite a bit on miles and points and they were confident we would make some good decisions. After some hefty discussion, we decided on heading to 2 main countries: England and Italy. We chose London so my parents could see where Alex spent a good year of his young adult life and where we fell in love. Next, the English countryside to spend a few days with Alex’s brother, his wife, and our nephew, as well as Alex’s parents. You’ll find plenty of notes below on each destination! 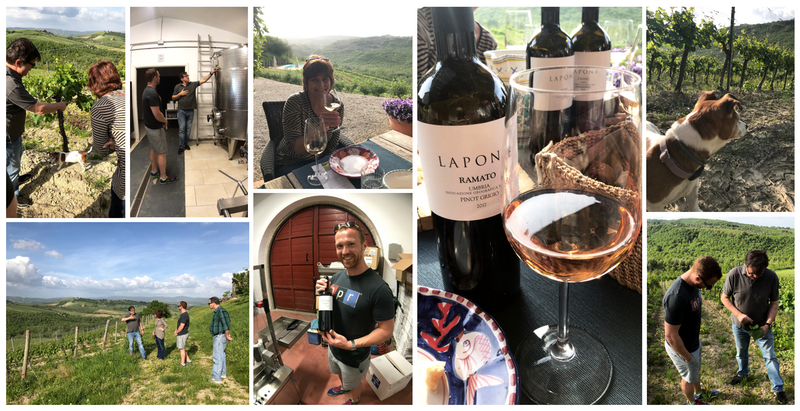 After England, it was on to Italy where we would explore ancient history in Rome, get lost in Venice, drive through Tuscany, and relax on a winery in the Italian countryside (settling on Orvieto in the region of Umbria) to end our trip. 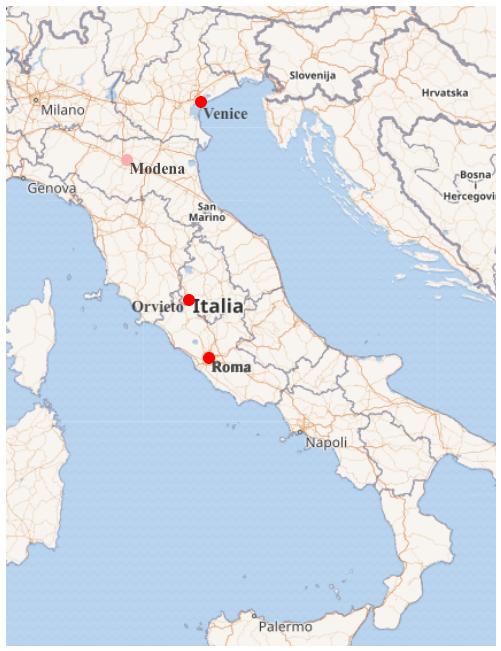 Below, you can find more info about how we traveled between these destinations. We knew it wouldn’t be easy to find 4 award seats in FC, but we shot for the moon. Alex makes the bookings, and since he’s the real points ninja, he’s going to explain how all this worked out briefly. 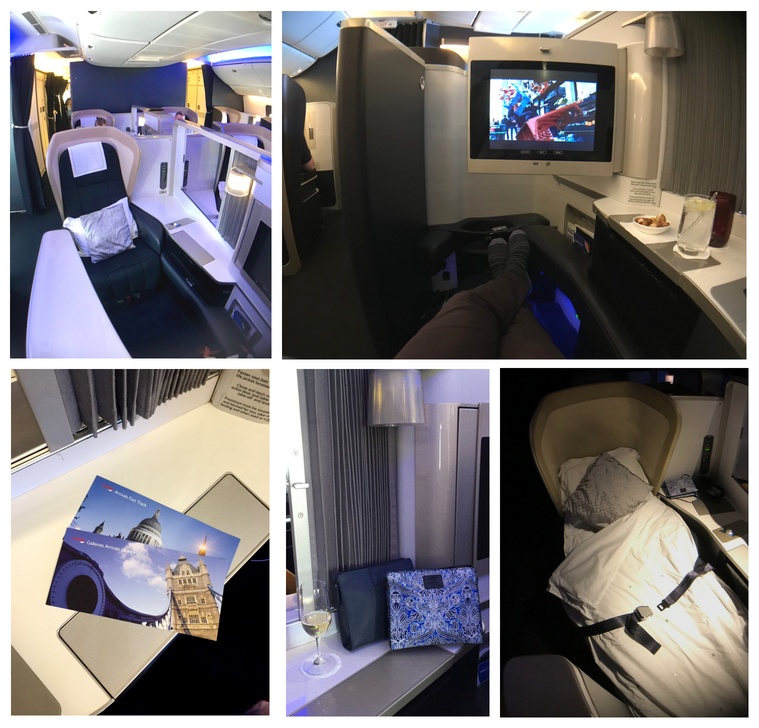 Our goal was to book award flights for the 4 of us in British Airways First Class from the U.S. > London Heathrow (round-trip) and then economy flights from London to Rome, Italy (round-trip) using points. 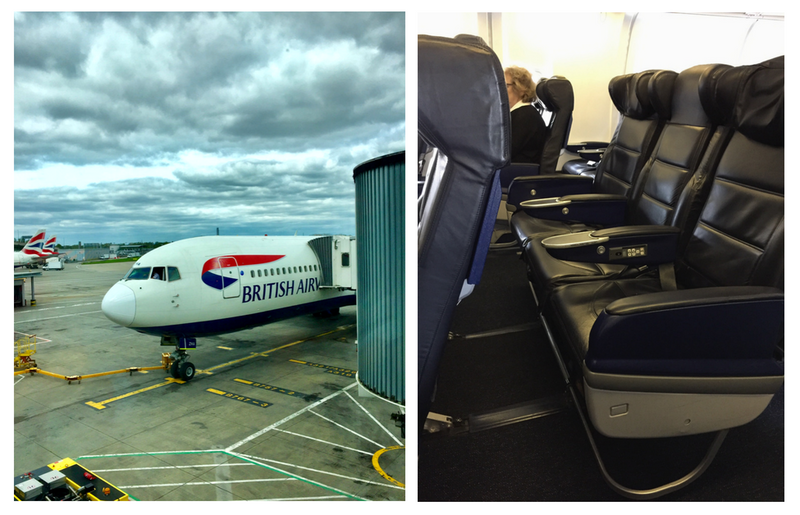 The hardest part was to pull off 4 seats in British Airways First Class both ways! The only way to do this, without amassing an obscene amount of points, was for each couple (Doug/Jolene and Alex/Erin) to earn a British Airways Travel Together Ticket. 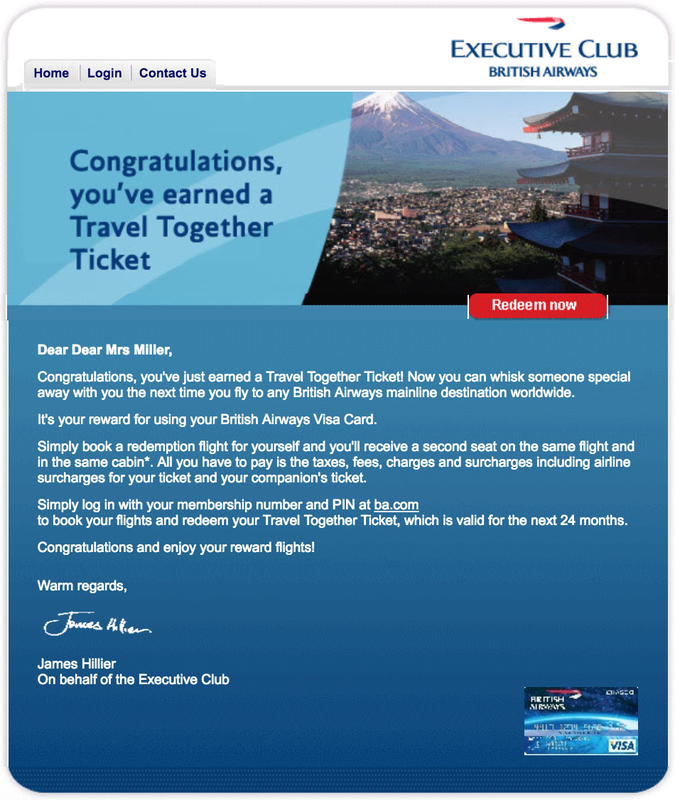 The only way to earn a Travel Together Ticket is by spending $30k in a calendar year on your British Airways Visa Signature Card. We both put our living expenses on our cards to earn that. We paid nothing in transaction fees to earn those points. All we paid was the $95 annual fee. Yes, it was only $872.18 for both of us, which was incredible! That got us 2 round-trip first-class tickets on British Airways as well as 2 round-trip economy flights from London to Italy! 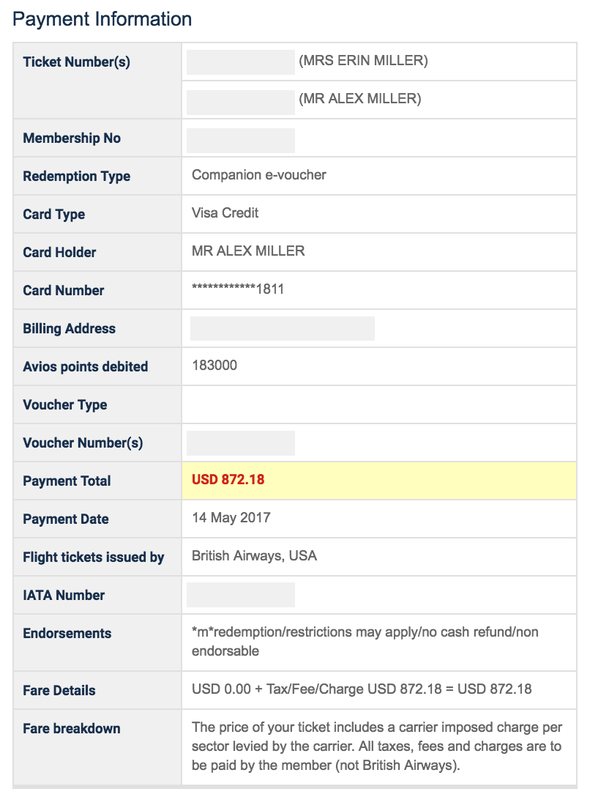 I suspect this was an error on BA’s part because we’ve made trips like this several times in the past where we flew first class across the pond, then economy on the short hops within Europe, and it was much more expensive. 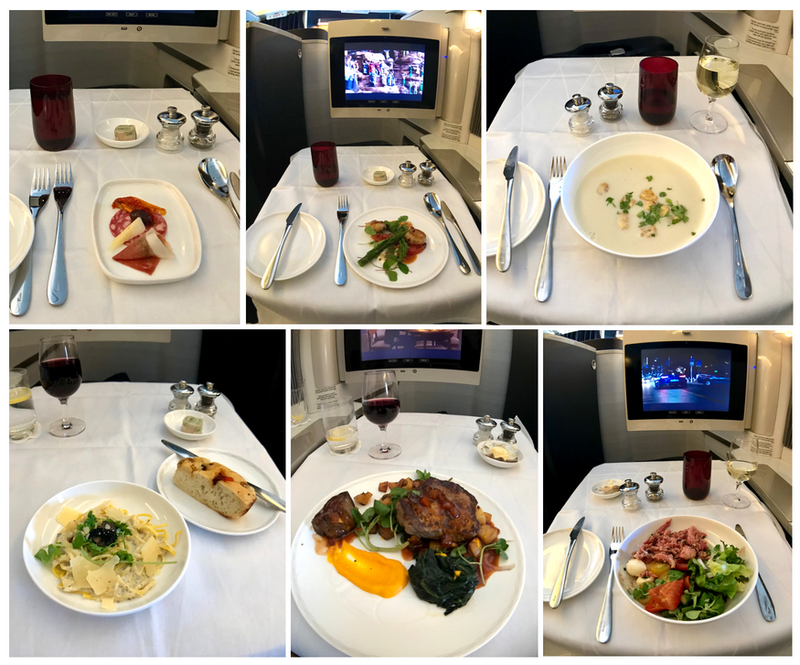 Sidenote: We chose to fly out of Houston (IAH) because they consistently have a lot of British Airways first-class award space, especially when you book 6 to 12 months in advance! Hot Tip: Regardless of whether or not this was an error, by adding on the leg in Europe, you save a ton of cash on taxes and fees because London isn’t your final destination. By routing it that way, you avoid the mega taxes imposed in London! I dug up the receipts, and it was ~$1,500 each for 3 previous trips which we flew in 2015/16/17. So our redemption was intriguing, to say the least, and a total bargain! Be aware that you should expect to pay the more expensive price of ~$1,500 (for 2 of you using the Travel Together Ticket), as this $872.18 seems to have been a lucky irregularity. Either way, this option certainly isn’t the cheapest in terms of taxes and fees. However, there isn’t another way to get an excellent product for the route that we needed for the price and points we paid, considering 4 people went on the trip. To be clear, we paid for our own American Airlines flights to and from Houston from our respective cities. We paid cash for those, as we don’t typically use points for domestic flights as the value isn’t there. The cash price is low enough, which means fewer dollars per point if you were to redeem with points. 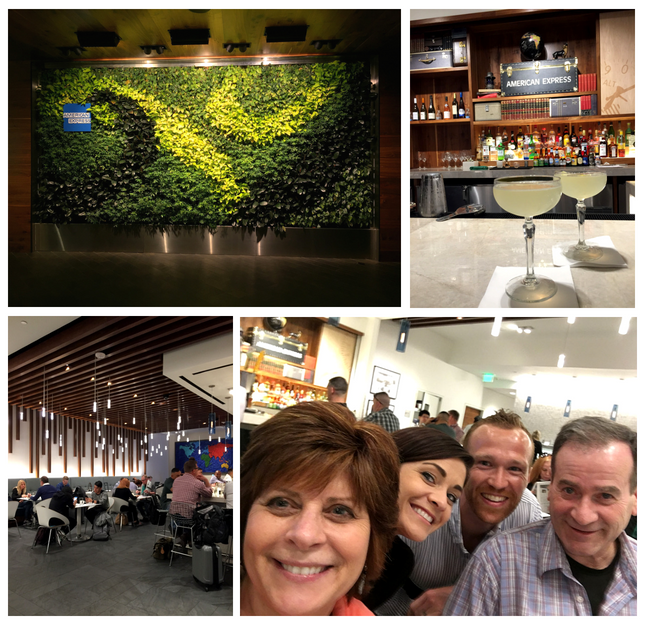 As we mentioned, leaving from Houston was necessary due to award flight availability, but it also gave us the added perk of spending some time in the Houston American Express Centurion Lounge. Alex and I are Platinum Card by American Express cardholders, so we received access and were allowed a guest each. 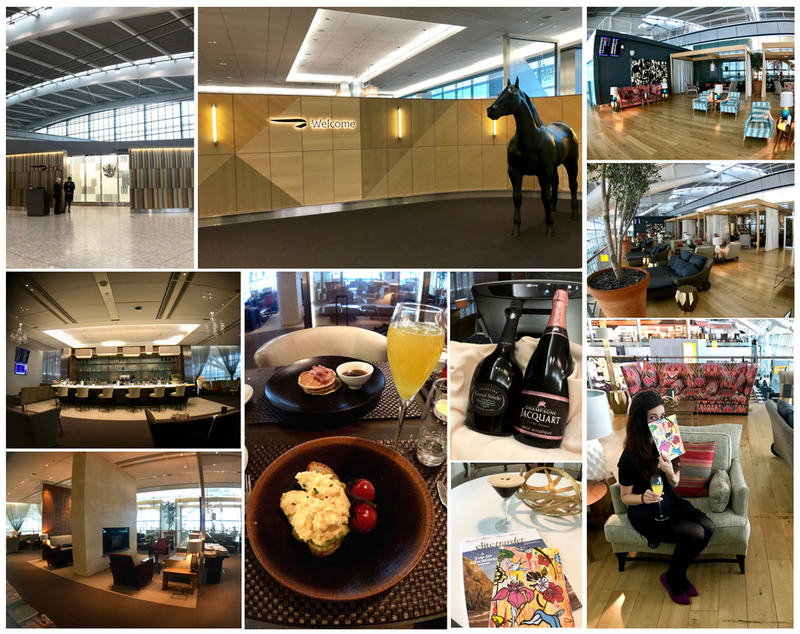 Yes, we could have opted for the British Airways First Lounge since we were flying first class, but the Centurion Lounge blows it away in terms of space and liveliness, and of course, food and drink options. 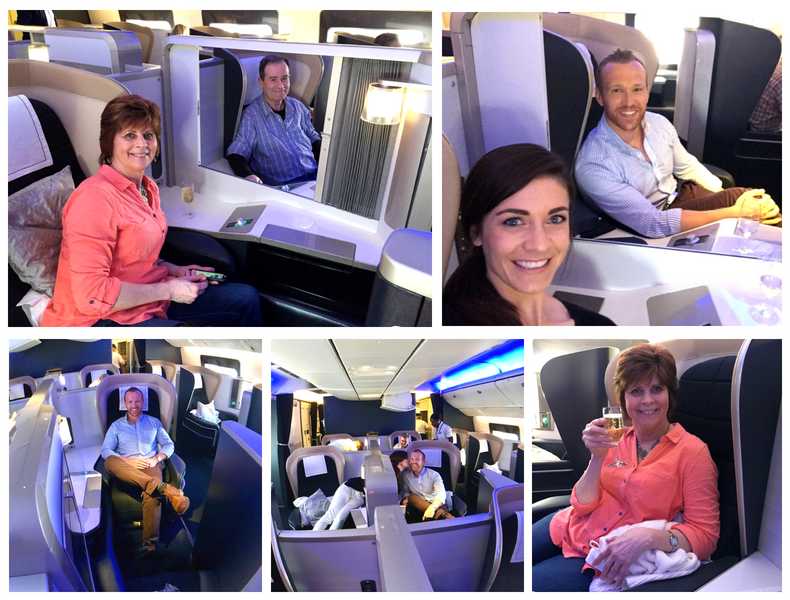 As my parents had never flown first class before, this was exciting for us! 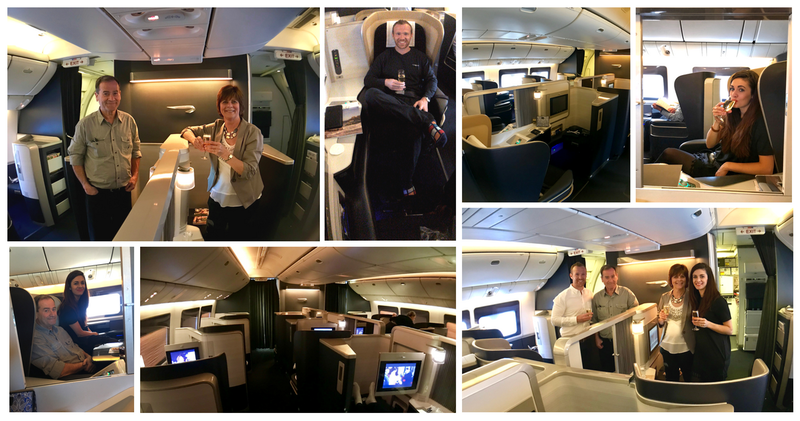 We had spent weeks talking up the cabin, amenities, and British Airways’ great cabin service! While we technically flew the “old first,” as some call it, it was still impressive for a couple who had never experienced anything other than economy! We let the flight attendants know this was my parents’ first ever first-class experience and they went out of their way to make us all feel incredibly comfortable without being too intrusive. We opted to wait a bit for dinner service so we could sit back, relax, and enjoy each other’s company with a few glasses of champagne. When dinner arrived, it was delicious (as usual). The menu was pretty diverse, giving us quite a few options to choose from. Plus, due to the seat style in the older first cabin, we were even able to dine together! Alex was also pretty chuffed when his dessert came on his own special tray so he could get a bit more comfortable to watch his post-dinner movie. 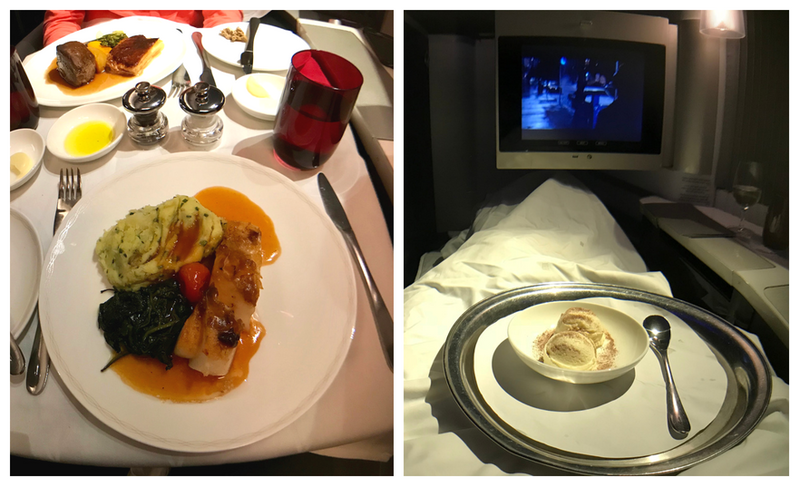 You can find more British Airways first-class food photos from our return flight below! We were all able to catch a few winks thanks to the lie-flat beds. As with many other first-class cabins, the staff are happy to make your bed up for you. All you have to do is ask! A few more photos of the cabin and amenities. By the time we woke up, we had just enough flight time left for coffee and a quick breakfast before wheels down at Heathrow. Whether it’s simply a plate of fruit or full English breakfast, you can’t go wrong! It was about 7:30 in the morning when we arrived. Instead of trying to book it into central London in rush hour traffic, we enjoyed an hour or so in the Galleries Arrivals Lounge. My mom was able to get in a quick complimentary treatment at the Elemis Travel Spa within the lounge while the rest of us caught up on our hydration and some light work. For transport into London, we grabbed an Uber. It wasn’t the cheapest option, but we felt the price was reasonable enough vs. the tradeoff of wrangling 4 people plus luggage on and off the tube on a Wednesday morning at a still relatively busy time. Plus, we paid with the Chase Sapphire Reserve®, so we got 3x points since Uber counts as travel – can’t hate that! For our stay in London, Alex and I decided to cash in on our Hyatt Visa Credit Card sign-up bonuses: 2 free nights at any Hyatt Property in the world. Since we each had scored the bonus, we technically had 4 nights available to use. We earned our free nights before Hyatt’s switch to a points-based bonus (the current sign-up offer is 40k points) and had been hoping to utilize them for either a Category 6 or Category 7 hotel, as that’s where the true value lies! 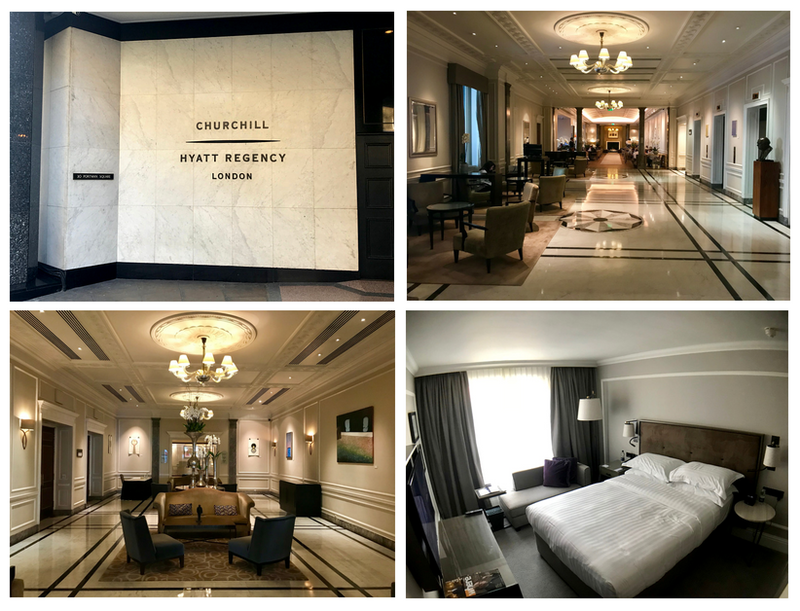 The Hyatt Regency London – The Churchill is a Category 6 hotel. There are a ton of stellar Category 6 and 7 properties around the world (The Park Hyatt Sydney, Grand Hyatt Hong Kong, Park Hyatt Paris, and Park Hyatt Maldives all come to mind! ), but for a number of reasons, this was the right redemption for us. With these 2 free nights, we were able to treat my parents to a wonderful stay at a 5-star hotel: another experience they had never had before! 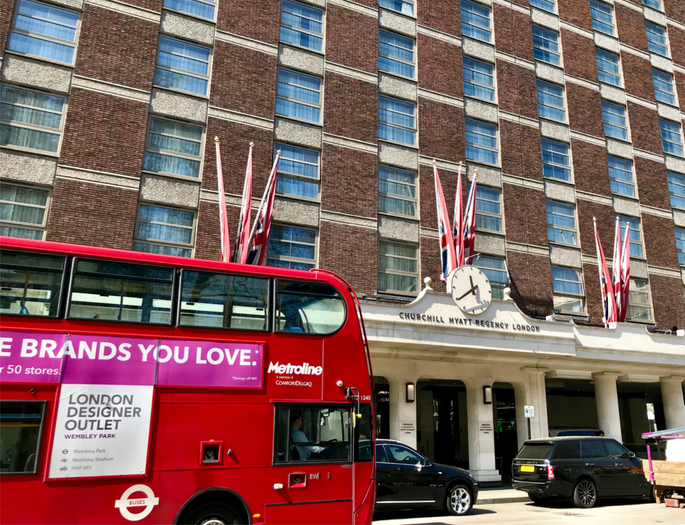 The rooms were comfortable, the service was excellent, and the location was perfect for setting out on our London adventures! We were extremely fortunate with weather as we saw nothing but blue skies and gorgeous weather the entire time we were in England – a rare treat! 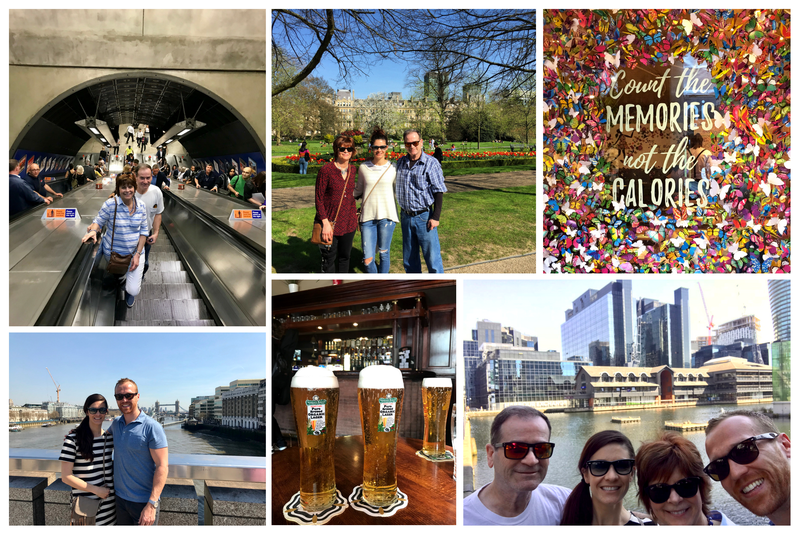 This trip was my mom’s first time to London, and my dad hadn’t been since he was about 12 years old, so we decided to quickly hit some touristy sights as well as spend time enjoying some local spots. It was certainly an exciting 2 days in London! After brunch in London on our third morning, we made our way up to Hatfield for some family time. Alex’s brother, sister in law, and their son live in Hatfield. 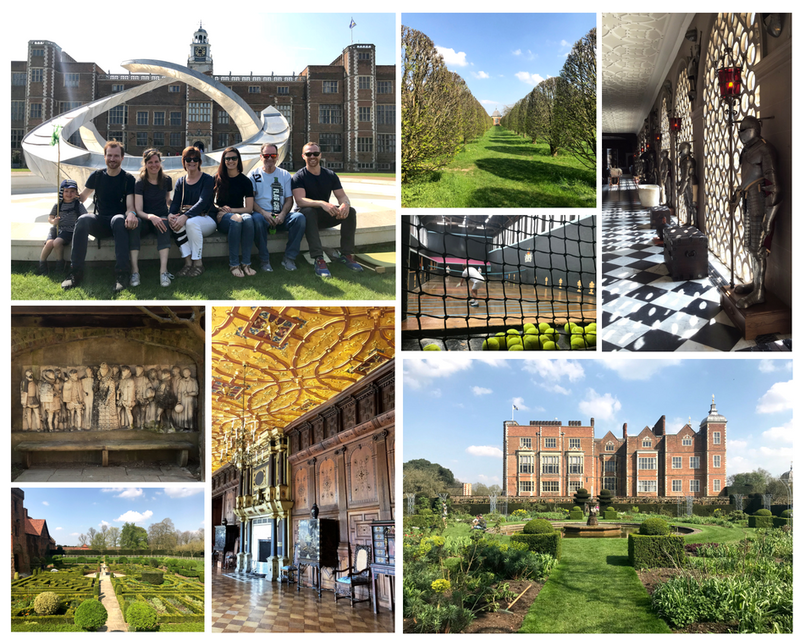 His brother works in the exquisite gardens of the Hatfield House estate, and we were lucky enough to get a personal tour after he finished his tasks for the day. A beautiful place to explore, relax, and spend time with family! The old palace, new house, stables, and church combined with the truly stunning gardens make for an extremely serene getaway from the hustle and bustle of London, although we had a cheeky little 2.5-year-old nephew to keep us on our toes! The day and a half we spent in Hatfield was wonderfully refreshing and a much-needed gathering to reconnect and share in each others’ company. From Hatfield, we traveled on to visit Alex’s parents, who currently live in a small village in South Oxfordshire. With a population of about 200 people, Hatfield was a wonderful opportunity for my parents to see a piece of true English countryside. 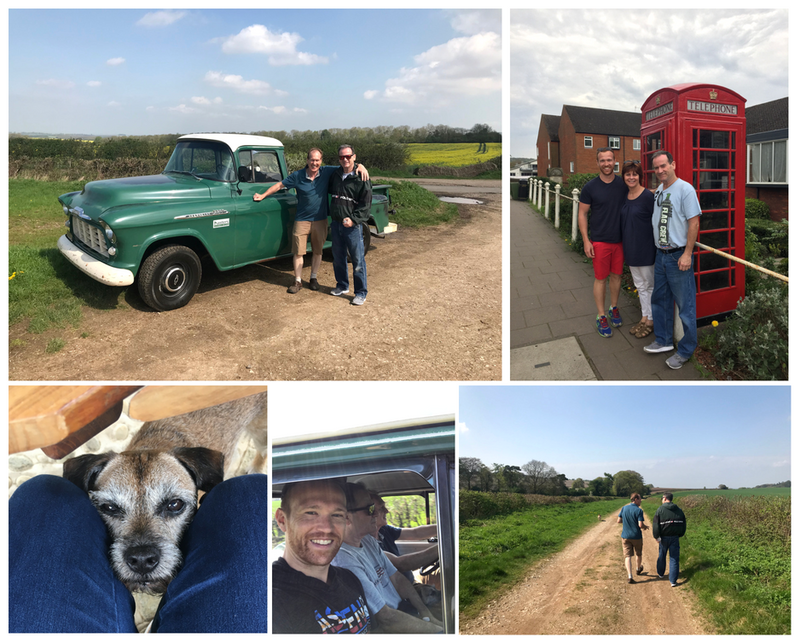 Our 2 days there were full of countryside drives, walks with Freddie (their devious little border terrier), lunches in the garden, a delicious country pub dinner, tons of laughs, family stories, and a traditional Sunday roast. Knowing all too well how precious times like these are, we made a conscious effort to appreciate every moment. The days in England seemed to pass far too quickly. Before we knew it, we were off to Italy! Our flight from Heathrow to Rome Fiumicino was technically a continuance of our award flight, but this leg of the trip was in standard economy. That meant no fancy first-class lounge access this time around. However, since Alex and I both have a Priority Pass card thanks to our Platinum Card from American Express, we were still able to enjoy some lounge access. At Heathrow’s T5, the only Priority Pass lounge available is the Aspire Lounge. Since we were each allowed 1 guest, we were able to treat my parents again! After all, this trip was really about them! The quick 2-hour hop on to Rome on this Boeing 767 was pretty easy and fairly comfortable with a 31″ pitch. We certainly miss the days when British Airways would offer complimentary snacks and drinks, but those days are numbered. We’ll see how this works out for the airline in the long run, especially when a number of their competitors are offering what they used to. Everyone has their own opinions about Rome. Some say it’s overrated, underwhelming, overcrowded…but we think those people just aren’t doing it right. How can you deny the larger-than-life feelings that arise as you walk roads that have been traversed since ancient times? How can you disregard Rome because of its grittier nature without considering its local culture? We stayed at Rome 55, a small guest house with just 5 rooms. Incredibly helpful staff greeted us and my parents received a pleasant surprise when they were upgraded to the largest room available. The rooms were comfortable, the owners and staff were very responsive, and the gem of it all – the location – was fantastic. Just opposite the Spanish Steps, it was an easy walk around the city, exploring at will. Spot the parents! P.S. We don’t usually take bathroom photos, but the design on the glass made a stellar shadow on the wall! 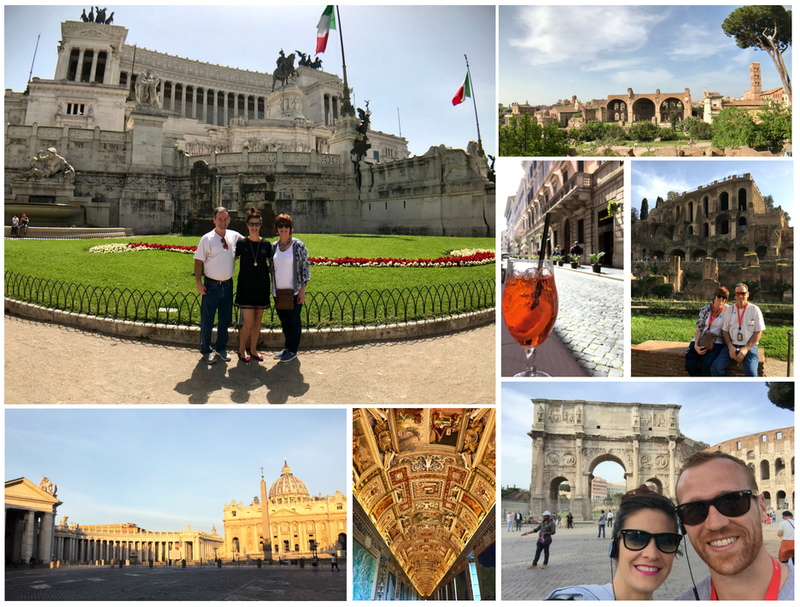 Since it was my parents’ first time to Rome, we followed our general rule of thumb: check off a few touristy activities (in the least-touristy way possible) and attempt to make some prime local stops. *We had planned a nighttime tour, however, this was canceled by the company a couple of weeks before the trip – a total bummer! The organization managing The Colosseum canceled all evening reservations until further notice. Yes, Rome was busy. Yes, Rome was crowded. But Rome is Rome, and wonderful in its own way. 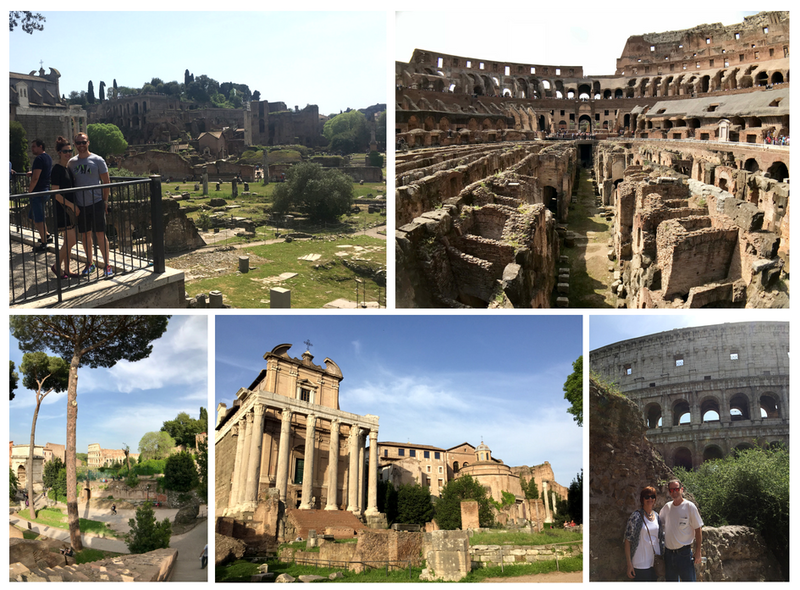 After a quick, yet stacked, few days in the Eternal City, it was time to move along. 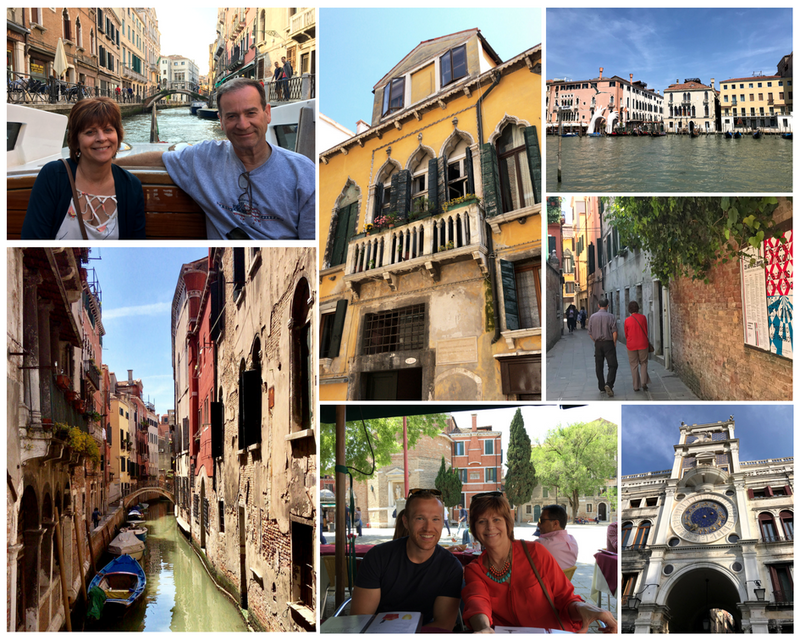 From Rome, we took the high-speed train to Venice. It was a nice way to see some scenery while hopping over there and less hassle than heading to the airport. Perhaps the only snag on the entire trip happened when the train came to a halt at the end of a tunnel and sat there for almost 2 hours, the majority of the time without air conditioning or a window that could be opened. The announcements didn’t say much, other than there was an electrical failure somewhere on the line. The crew wasn’t very helpful in explaining any further, so we played some cards to pass the time and tried to make the best of it. Thankfully, we were on our way again soon without any further hiccups. It was a gorgeous evening when we arrived in Venice: breezy with a hint of excitement in the air. We opted for a water taxi to get from the train station to the stop instructed by our Airbnb hosts. No need to remind you again that this was my parents’ first time to Venice, but I will because it should help in imaging how surreal this all was for them! Our Airbnb was a short walk from the water taxi stop, about 5 minutes. But did we get lost? Yes. Yes, we did. Luckily, we didn’t stress, since we went in knowing this would likely happen immediately upon setting foot in Venezia. But I have a fairly decent directional sense, so it didn’t take long before we were exactly where we needed to be. That patio was the best! The Airbnb, a top-floor apartment just off the Campo di San Silvestro, was lovely. Situated right on the convergence of 3 small canals with a view over the rooftops of Venice, we spent plenty of time soaking it all in from the outdoor patio. The weather played along and remained beautifully warm in the daytime, then cool in the evenings throughout our few days there. If you don’t absolutely fall in love with Venice, you’re doing it wrong. While we only had a few days, it’s more time than most, and we made the best of it! 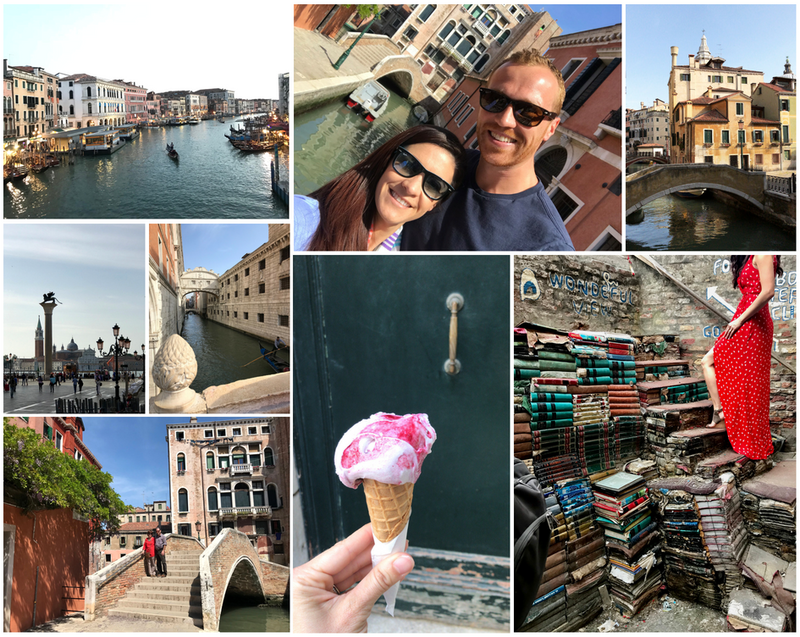 After a few dreamy days in La Serenissima, it was time to move along. From Venice, we thought it might be nice to drive through Tuscany on our way back to Rome where our return flight would leave a few days later. As a perk of The Platinum Card® from American Express, cardholders get some added Hertz benefits when enrolled in Hertz Gold Plus Rewards (which is free). 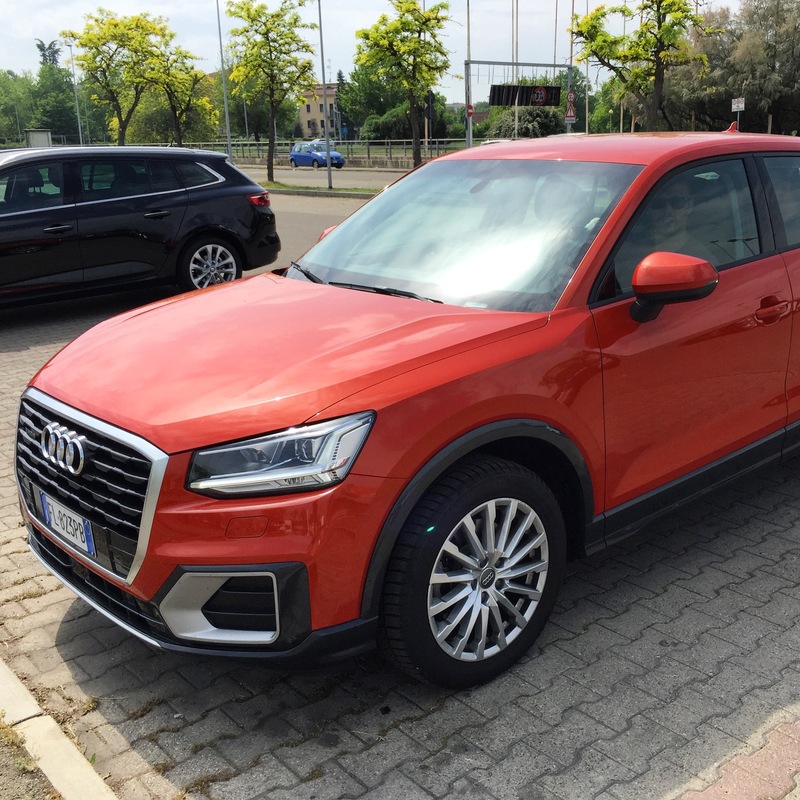 We were offered a free upgrade to a perky little burnt-orange Audi, and we got an additional driver added at no extra charge. Driving through Tuscany is a feast for the eyes around each bend, through each tunnel, and over each hilltop. It really is breathtaking. The drive to Orvieto was about 5 and a half hours, but we made a short stop on the way, and wow, what a gorgeous way to pass the time! My parents were so pleased we had chosen to drive. We made a slight deviation from the direct route to Orvieto, as we wanted to stop at the Museo Enzo Ferrari in Modena. My dad has always had a love of motorsports. Having raced motorcycles professionally when he was younger and riding them for pure enjoyment since, he’s always had a connection to cars, engines, and the art of racing. While this stop was initially planned with my dad in mind, we all came away from the museum pretty blown away. 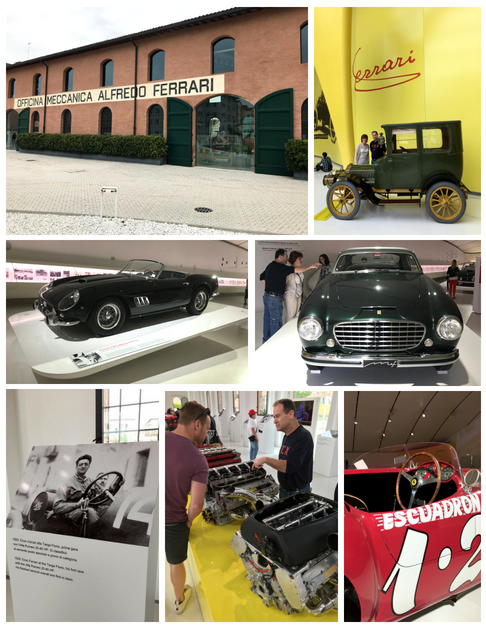 The museum is called Museo Casa Enzo Ferrari as it’s built around the birthplace of the legend. We really enjoyed learning about the full life led by Enzo Ferrari through the various installments. 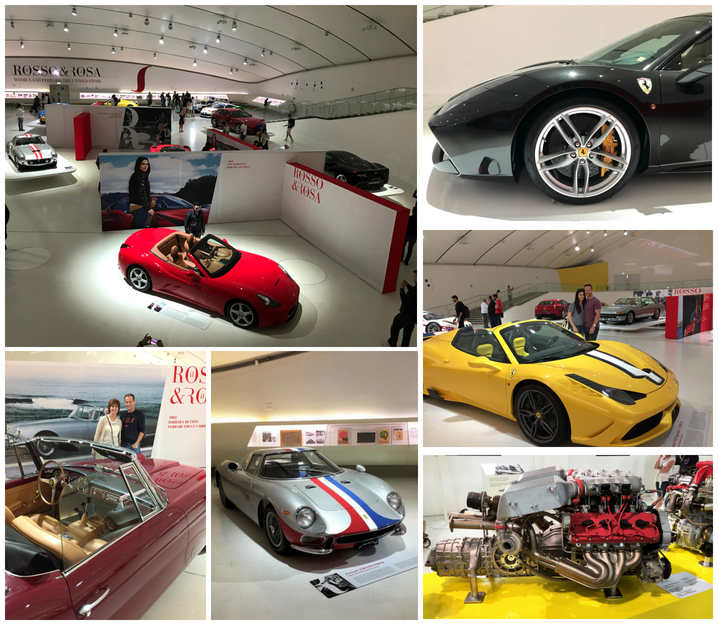 We explored the Museum of Ferrari Engines, viewed a short-yet-heartfelt video about his beginnings and eventual success, and wandered in awe through the current exhibit: Il Rosso & Il Rosa, Women and Ferraris The Untold Story. If you’re near Modena and have some time to spare, it’s absolutely worth a stop! After the museum, we continued driving south towards Orvieto, one of those picture-perfect Italian cities precariously perched on commanding hilltop. 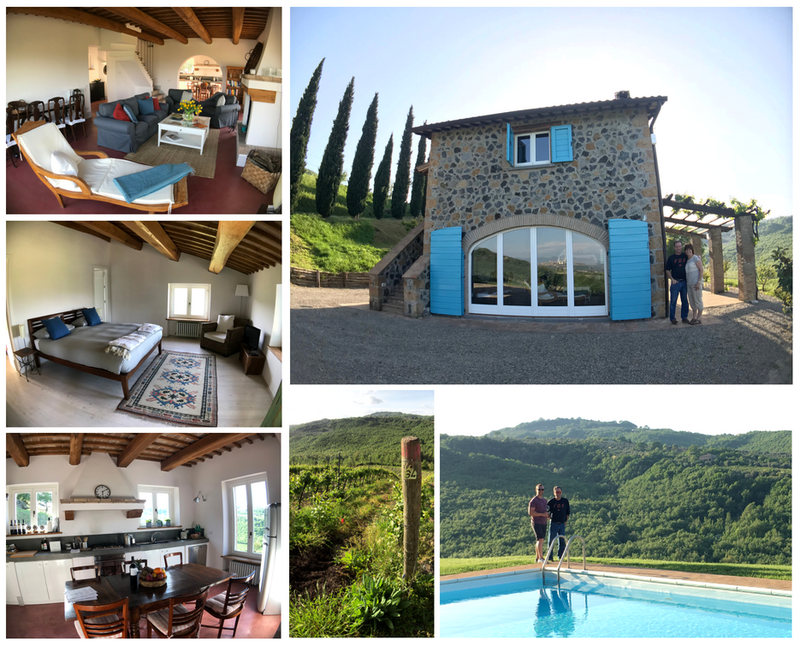 Thanks to some intensive searching during the planning stages, Alex and I found an incredible Airbnb on the grounds of Lapone Winery just outside of Orvieto. 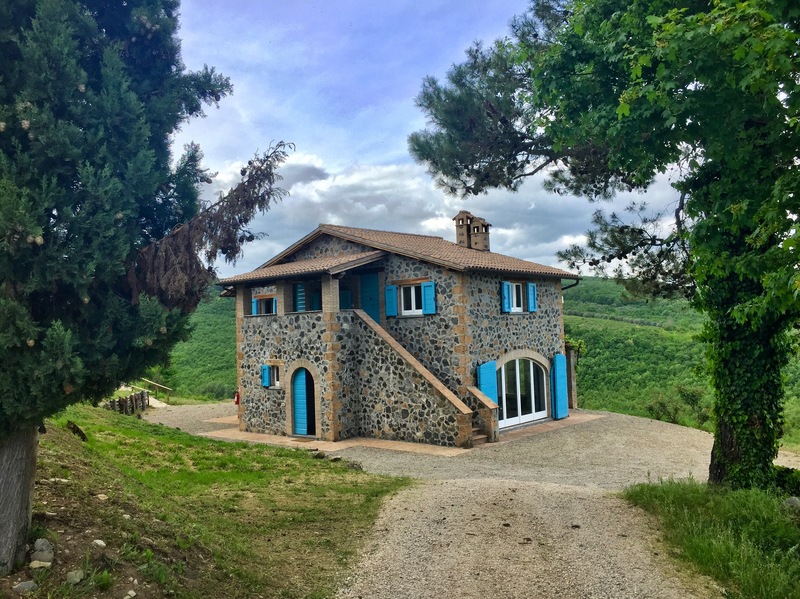 The owners of the winery, Piero and his wife Ramona, rent 2 amazing properties that are so rustic Italian country house it takes your breath away. It. Does. Not. Get. Better. Folks. This was hands down, the biggest Airbnb WIN we’ve ever had. My dad told us this was a backdrop he thought he’d only ever see in the movies, that he never imagined he’d be lucky enough to see something like this with his own eyes. Appropriately, we spent our time here relaxing, drinking wine, and taking in our utopian surroundings. We were even lucky enough to have an intimate winery tour and wine tasting with Piero himself, alongside Peggy, their attentive little Jack Russel terrier. It was one of those perfect evenings where everything seemed to align. 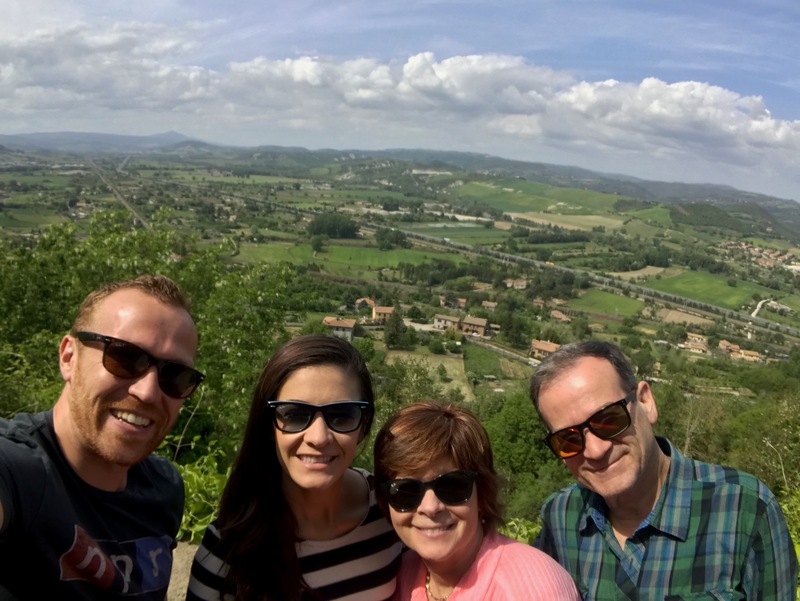 On our last full day in Italy, we took a trip to Orvieto, the mysterious town in the distance. The entire city rises out of the surrounding land on butte of volcanic rock, like a beacon calling you to explore its historic past. The city has been around since ancient times, long ago inhabited by the Etruscans. 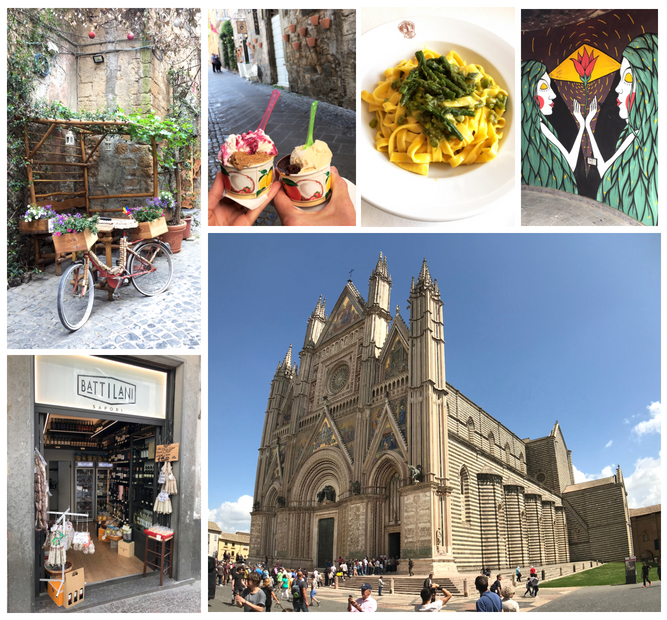 We spent the afternoon meandering the streets, marveling at the cathedral, wandering in and out of the lovely little shops, and enjoying a last fantastic lunch at Trattoria dell’ Orso. We went to bed that night wishing the trip didn’t have to end, but knowing we would have to start making our way back the next morning. We were so pleased to have taken some time to stay in Umbria. It was the best way to end our European adventure. We still had our rental car, so once we were all packed up, we drove the remaining ~2 hours back to Rome to catch our flight back to London. Once the rental car was sorted and we were all checked in, it was lounge time. We heard the new Plaza Premium Lounge had just opened a week before and were excited to check it out. 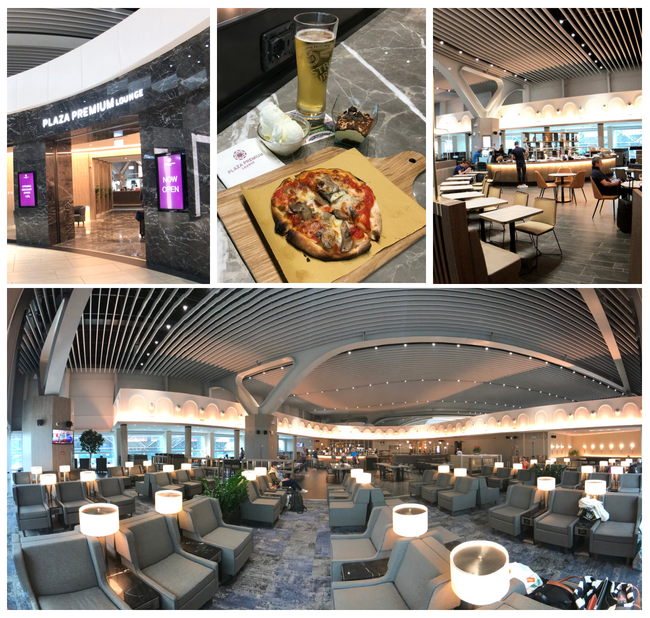 We got access to this lounge via our Priority Passes, and it did not disappoint! It was certainly the nicest Priority Pass lounge Alex or I had ever been to! Since Alex has Silver status with British Airways, he and I also hopped on over to the British Airways lounge for a few minutes to check it out. After seeing how nice the Plaza Premium Lounge was, the British Airways lounge felt a bit drab and cramped. Back to Plaza Premium we went! Again, this leg of our ticketed fare (FCO to LHR) was in economy. This quick hop wasn’t anything write home about, but it was comfortable all the same. Alex and I fly through Heathrow a lot. Most often, it’s easiest (and necessary) to break up a trip with an overnight stay there before heading out the next morning. Due to the timing of certain flights, arrival times in the U.S., having to then catch additional flights, impending jetlag, etc., we decided this would be the best option for us. Our go-to hotel for these overnight stays is the Sofitel at Heathrow T5. If you’ve ever stayed at a Sofitel, you know it’s bound to be one of the best nights of sleep you’ve had on your trip. That bed; that bedding! When we checked in, my mom was designated as the Lucky Customer of The Day, receiving a room upgrade, free drink tickets, and a £25 spa credit! We enjoyed a beer at their hotel bar, then grabbed a quick bite for dinner. It was an easy welcomed evening before our early wake-up call the following morning! An awesome perk for British Airways First Class passengers flying out of Heathrow is the First Wing. First Wing has a separate check-in and security checkpoint designated for first-class passengers only, which makes for a quick scoot on through. Some might even call it enjoyable. Is that going too far? We woke up extra early to spend some time enjoying breakfast in the Concorde Room. Of course, we couldn’t pass up a glass of the Laurent-Perrier Grand Siècle (or two!) and okay, okay…one of us may have had an espresso martini. Our return flight to Houston was in British Airways First Class on British Airways flight 195, a Boeing 777 just like our flight out. My parents again had seats 1E and 1F, while Alex and I took 2E and 2F. The crew on this flight was just as fantastic as our flight over. They were totally on board (pun intended) when we again asked them to help make my parents comfortable as this was only their second flight in first class. As this was a daytime flight, we were offered lunch followed by afternoon tea a few hours later. Lunch options were on point for this flight, and everything came out looking (and tasting) fantastic. I personally think the afternoon tea steals the show. This is the most quintessentially British thing about flying British Airways and a fun perk that you won’t get on any other airline. The flight home was a bit more restrained, as our excitement about the anticipation of our trip was replaced with a quiet reflection on the time we’d just spent together. I think we were all slightly wistful at having everything finally coming to a close. When we arrived in Houston, sadly, it was time to part ways. My parents had a flight back to St. Louis, and we had a flight to catch back to Austin. It’s never easy to say goodbye, especially when a trip you’ve planned and worked towards for months whizzes by in what seems like an instant! All of a sudden, it’s over with only memories in its place. At least they were brilliant memories of a phenomenal trip that went off without a hitch! My parents have already earned another Travel Together Ticket. We don’t yet know when or how they’ll be able to use it, but we’re hoping to start planning soon! As for us, we’ve always got a stack of points in our back pocket. Alex is headed off to Sydney (via an altogether ridiculous round-trip route, of course) in August. Then, it won’t be long before we’re off to England for Christmas and Brussels for New Years thanks to our most recent Travel Together Reward booking! You guys are awesome!!! Love how you are using this ‘game’ to make all your dreams come true!! My husband and I do the same. Really enjoy your blog and it’s so helpful, letting me know things other ones just don’t. Thanks. Just had to let you know how inspiring your trip report was. It was nice to hear from a travel blogger about their time spent with family and especially parents. The idea to set them up with an award and arrange first class flights was very heartwarming. I would have loved to see their faces when they were being treated like royalty. I wish I had known about cards and signup bonuses while our parents were still alive. But, we are passing on our knowledge to our adult children so they can get an earlier start. Best wishes to you all. Thank you SO much Steve! It really was amazing to see the look on my in-laws faces when they boarded the BA plane. That’s not one I’ll forget anytime soon!